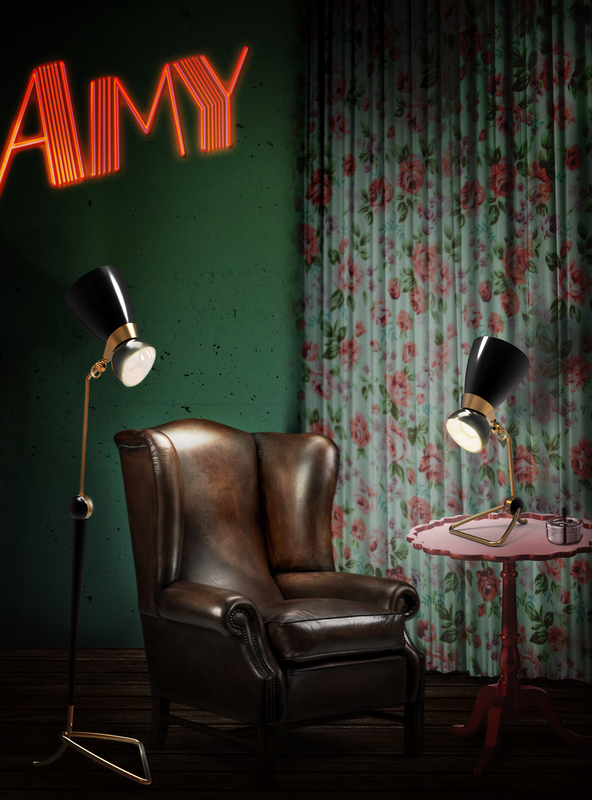 Amy is a tribute to the great British singer and songwriter. 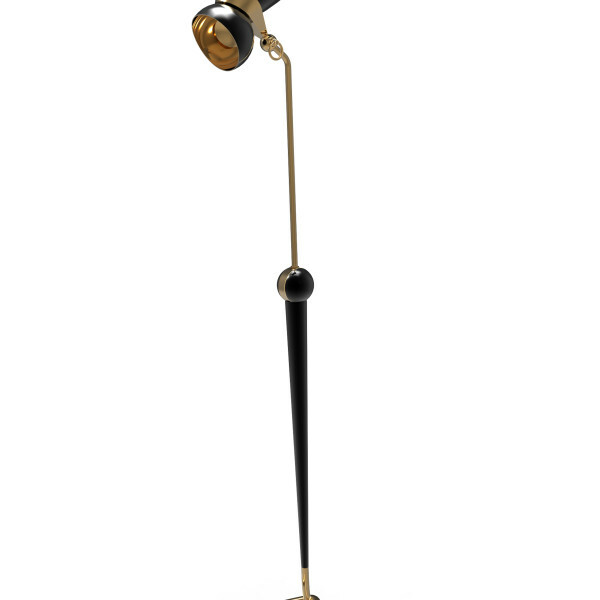 Outlined by the black of her hair and her round earring… The inside is in gold like her golden voice. 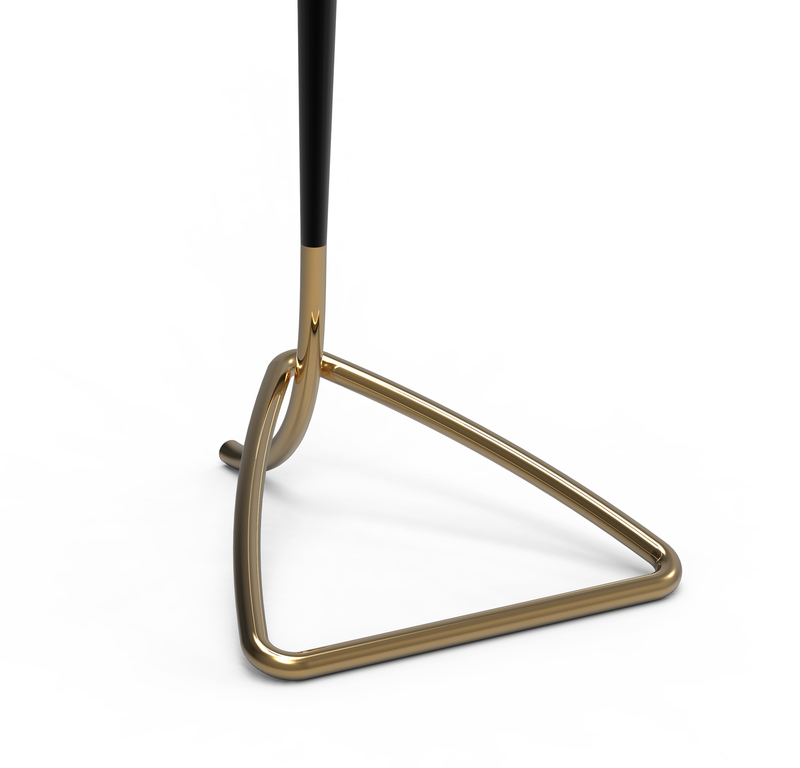 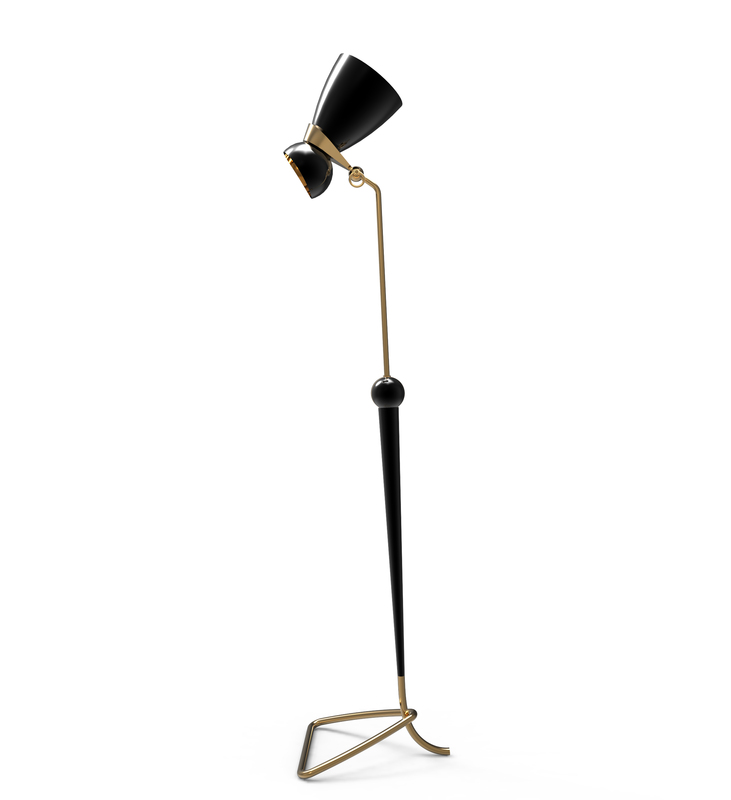 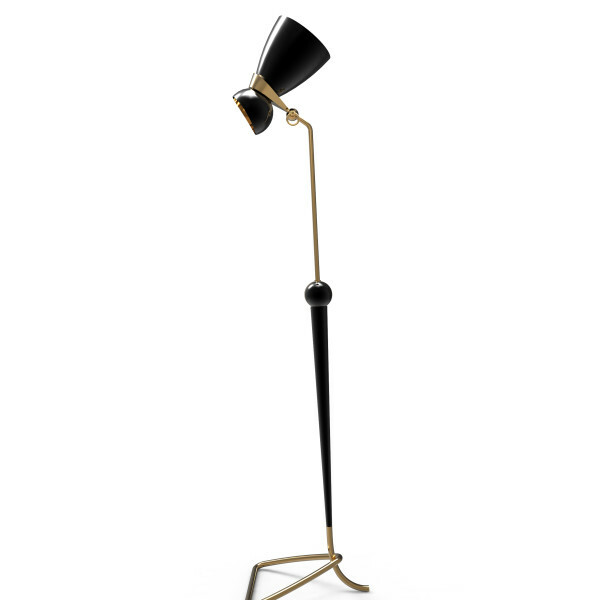 The irreverent floor version is a reading lamp, perfect to enjoy with your favourite book at any setting. 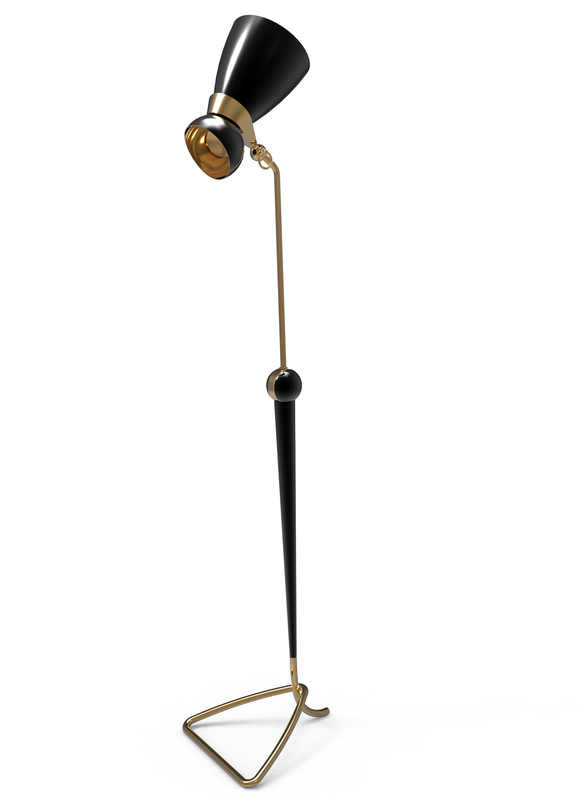 Handmade in brass and with lampshades in aluminum exactly like it was made in the 50’s. 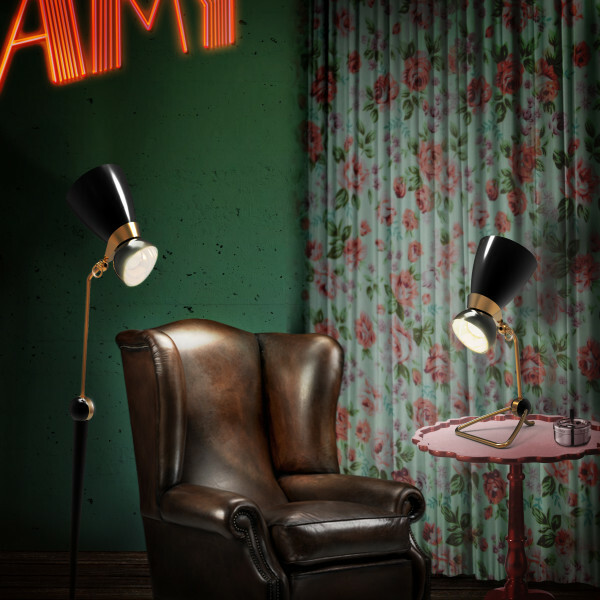 A new design start.